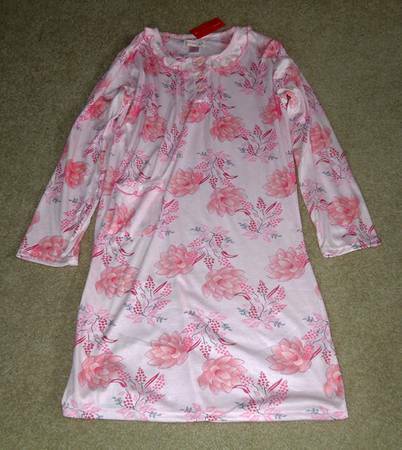 This is a beautiful new with tag long-sleeved medium nightgown. Has one front pocket. Never been worn. Looking for a new home. Would make a great gift! Firm on price.